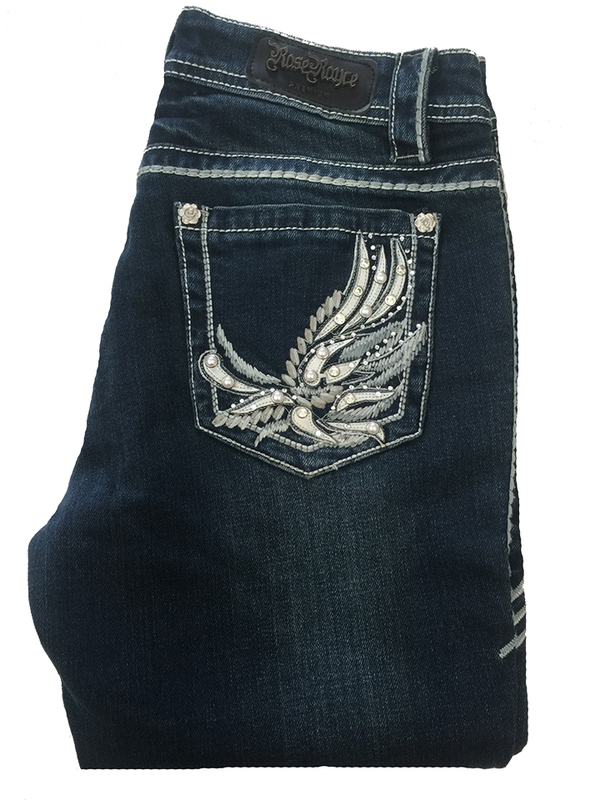 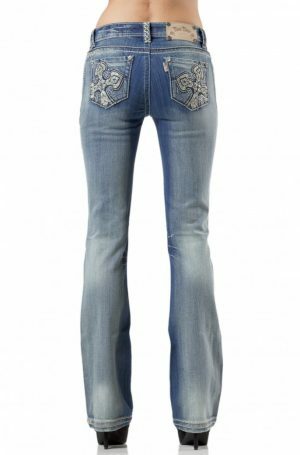 Bootcut jeans featuring crystal, pearl and leather detail on back pockets. Signature crystal hem. 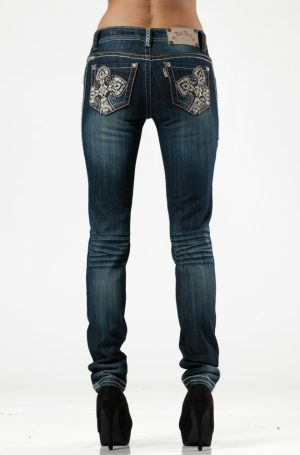 Mid rise sits comfortably on waist.